So you’re going on vacation? That’s awesome! Taking a break from your everyday routine and spending time away from home with people close to you (or by yourself—because of why not?) is always a thing to look forward to. Therefore, everything has to be planned properly so nothing spoils the fun. 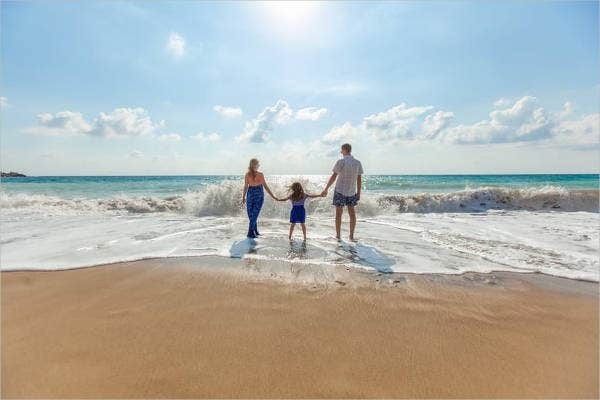 Vacations are ideally planned months ahead (we have a vacation list templates to help you get organized), with everything from plane tickets, accommodation, food, tours, and other services you might need to book already thought out. 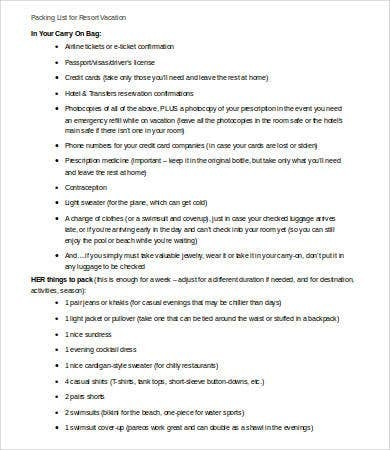 If you’ve already done all this, you are now ready to pack. 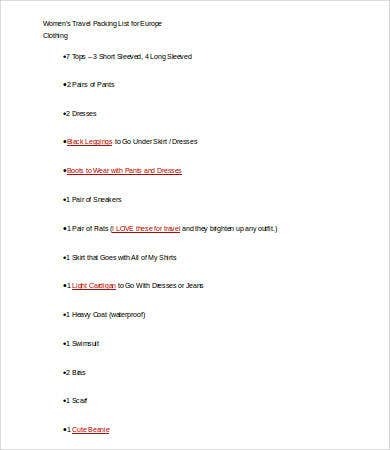 Here we present you with different types of packing lists for all sorts of vacations you’re having. 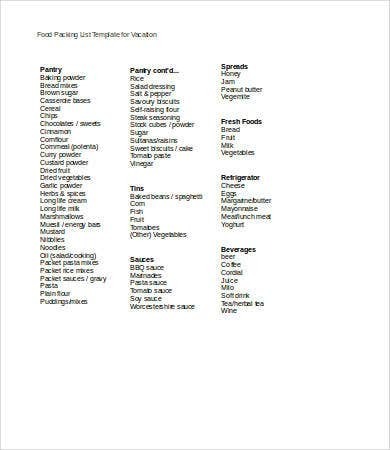 These are free for download and can be modified to suit your needs. Packing is essential. You want to bring all that you need but not take your sink with you. 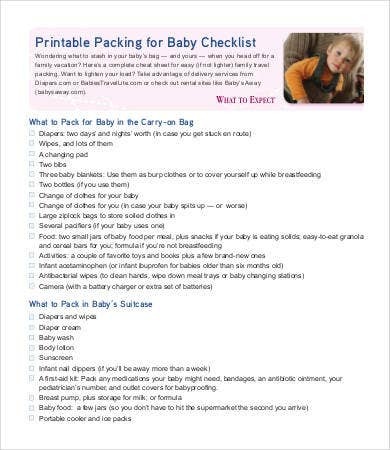 Here, we have a few tips to share with you when packing for a vacation. You have to consider the climate of the place where you’re going at the time of your trip. 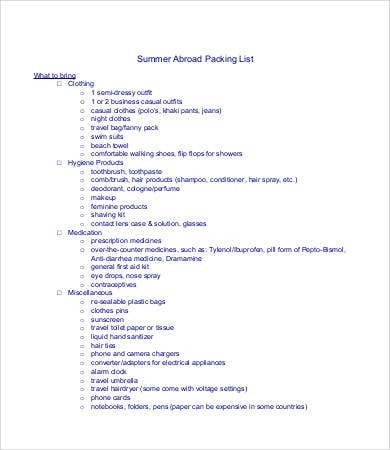 If you’re vacationing for the summer, you’ll want to fill your luggage with light clothes, sunglasses, sunblock, etc. 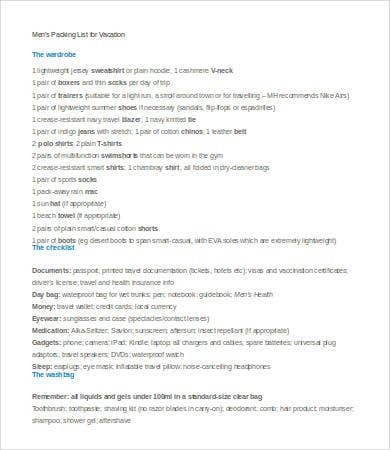 If you’re going away to someplace in the wintertime, you’re gonna want to pack a lot of jackets and sweaters. 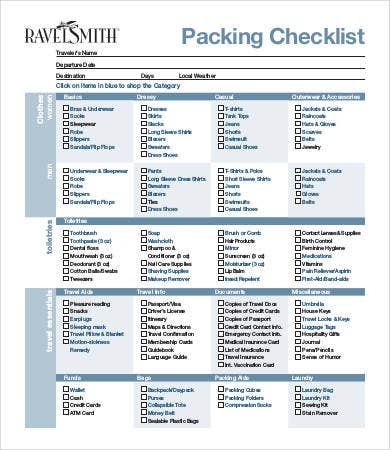 Pack enough to last for the whole duration of your trip. 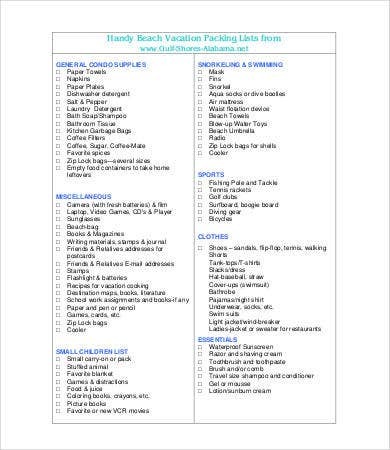 If you’re going on just a weekend getaway, packing light will be your best option, with probably one or two changes of clothes. If you’re going away for a week or a month, you’re probably going to need to fill up a suitcase or two. In case you encounter any kind of emergency, it’s always ideal to have plans B, C, D, E . . . Z. If, for example, the place you’re going to has limited places that accept credit cards, it’s best to have cash on hand to cover any financial mishaps. Bring a book, a music player, laptop to spend downtime on. Long layovers can sometimes spoil the fun, especially if you’re in a really crowded, unkempt airport. It’s best to have some form of escape from the noise until you are ready to leave. Any time is as good as any to get away and have fun! But before you get ahead of yourself, you should take time to consider several things to make sure that when you do get away, you don’t leave a trail of frustrated people, work backlogs, or worried family members behind you. Therefore, the best time to take a vacation is when you are most prepared. 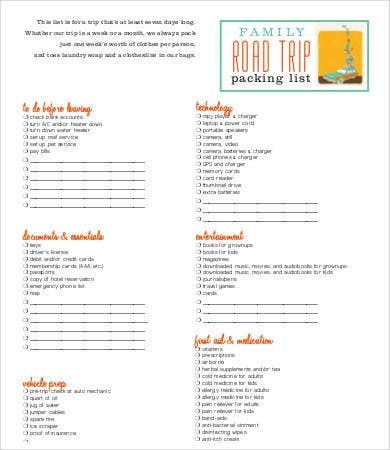 The templates we have provided for you will help you plan and organize the vacation of your dreams, whether it’s a road trip, a resort vacation, or a cross-country tour. 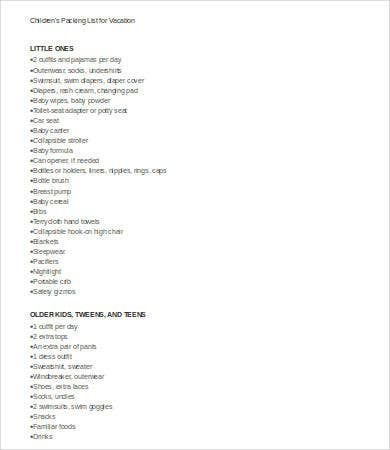 We have packing lists especially made for when you need to bring a baby and we also have a blank packing list template for when yo want to make the categories and the items yourself.